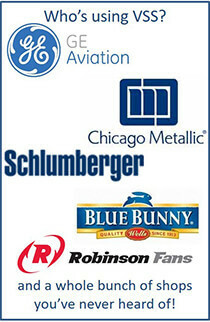 Home » Reviews & Testimonials & Case Studies » Custom Fabricator Scheduling Success! This shop fabricates (new and repairs) custom heat exchangers and pressure vessels. Since the introduction of your velocity concept, we’ve seen an average of 5 jobs ship per week, which was about 1 every two weeks prior to the VSS Coaching (that’s 10 X more job done). Our backlog has gone from an average of 55 jobs to around 20 (while sales remained constant). We’ve also reached 100% on-time performance for all new jobs booked since the VSS Coaching began. Another benefit realized is a steadier invoicing outflow and cash inflow.